Large-scale ceramic panels are Otsuka Ohmi Ceramic's main business line. An overwhelming existence created through the use of world's greatest ceramic panels. There is nothing comparable to the size of a large-scale 900 X 300mm ceramic panel made by Otsuka Ohmi Ceramics. There are hardly any gaps or misalignments with these accurately produced ceramics, so that viewers do not notice the array of panels and their divisions in the finished production. This makes it possible to produce a dynamic mural painting with ceramic panels on a massive wall space. 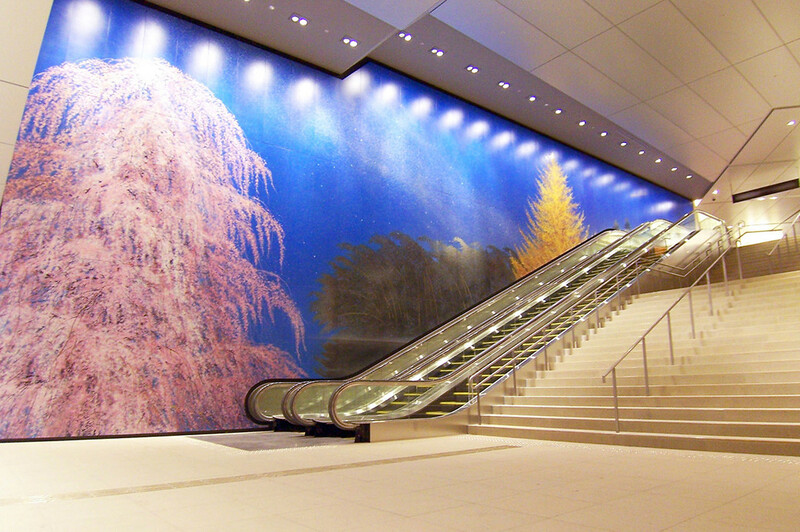 Hiroshi Senju’s Four Seasons Trees ceramic mural attracts attention at the entrance of the Sakas Front, Akasaka Biz Tower. The mural is roughly 8.5 m in height and 25 m in width. 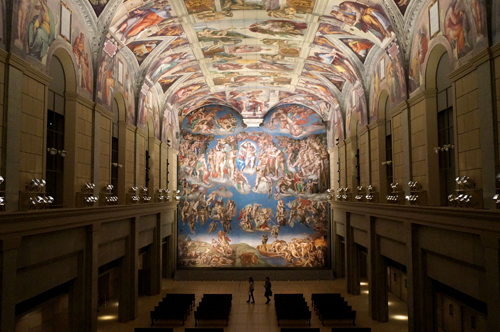 A chapel such as the Sistine Chapel, with its intricate interior design shape with curved walls and ceiling, is identically reproduced and displayed in its entirety on ceramic panels with the unique proprietary installation technique developed by Otsuka Ohmi.